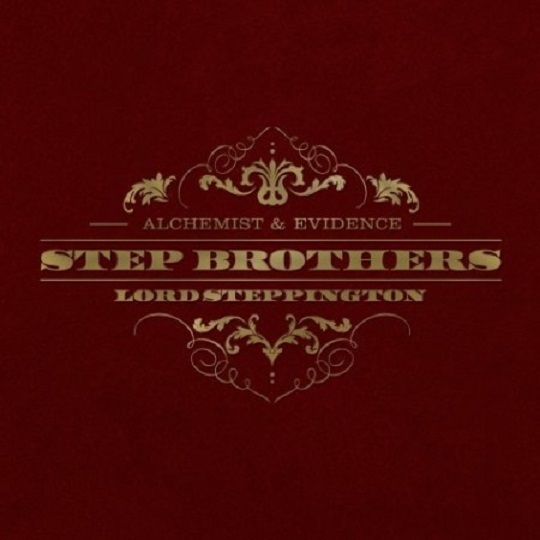 The Alchemist and Evidence gear up to finally release their anticipated collaborative project entitled Lord Steppington. The Step Brothers have made mention of the album in year’s past and have now decided to bless fans with its release on January 14 courtesy of Rhymesayers Entertainment. Take a look as the official artwork was unveiled today along with a new song titled “Ron Carter” which will not be showcased on the album. For all the details, check out the tracklist information provided and be on the look out for the LP’s first single and music video which is set to drop on November 19. This entry was posted in Artwork, News and tagged album, alchemist, artwork, Cover, evidence, hip hop, lord steppington, rap, ron carter, step brothers, tracklist. Bookmark the permalink.